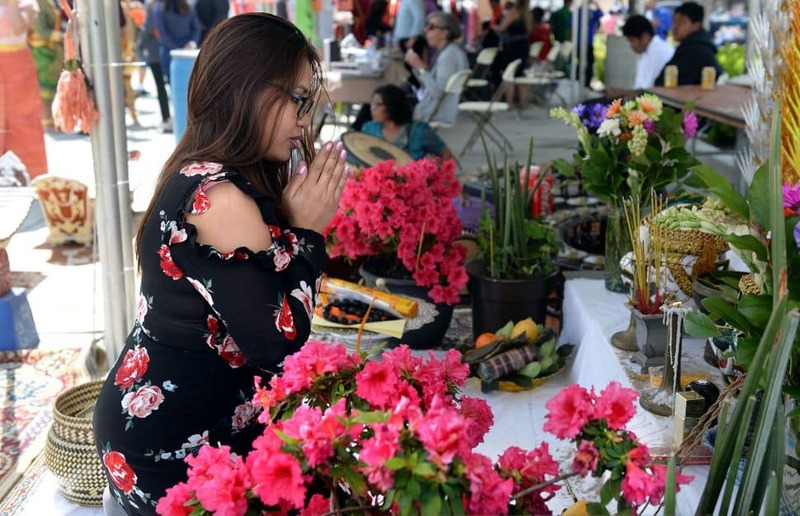 Among the arts and cultural exhibits on display were Cambodian costuming, drawing, shadow puppets, music, musical instruments, textiles, dressmaking, weddings, gardening, and cooking. The event at Mark Twain Public Library was free and open to the public. 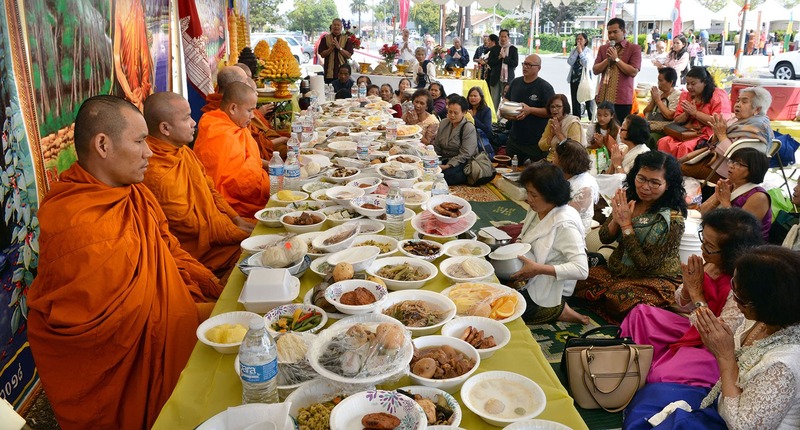 Cambodian monks receive food during the 11th Annual Cambodia Town Culture Festival, held outside the Mark Twain Long Beach Public Library. 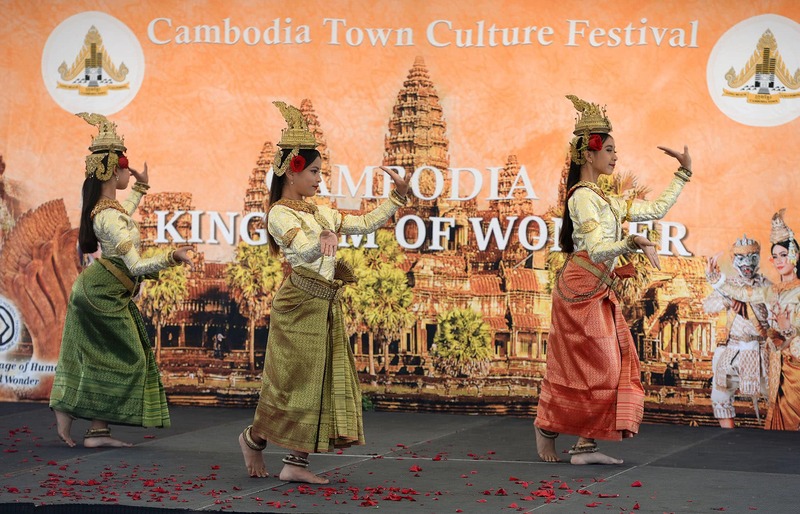 The festival is the kickoff to Cambodian New Year Celebration, featuring Cambodian classical and popular dance performances, food and music. 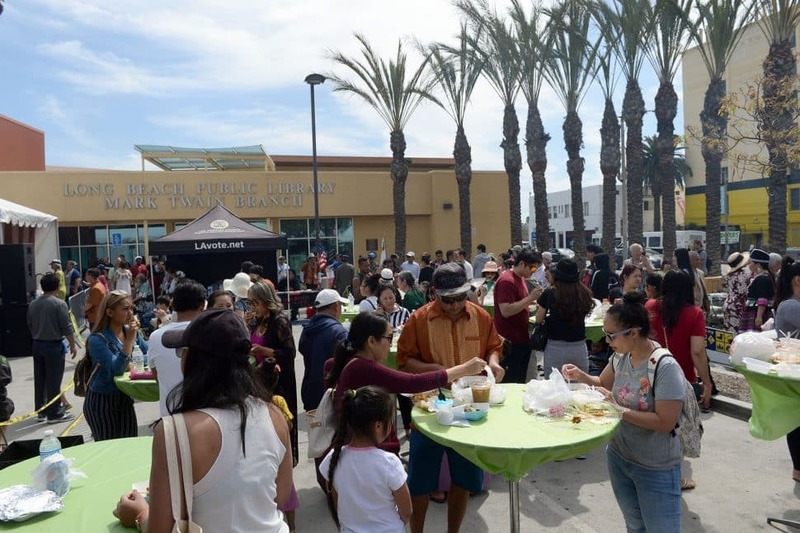 Long Beach California, Sunday, April 7, 2019. Photo by Stephen Carr. 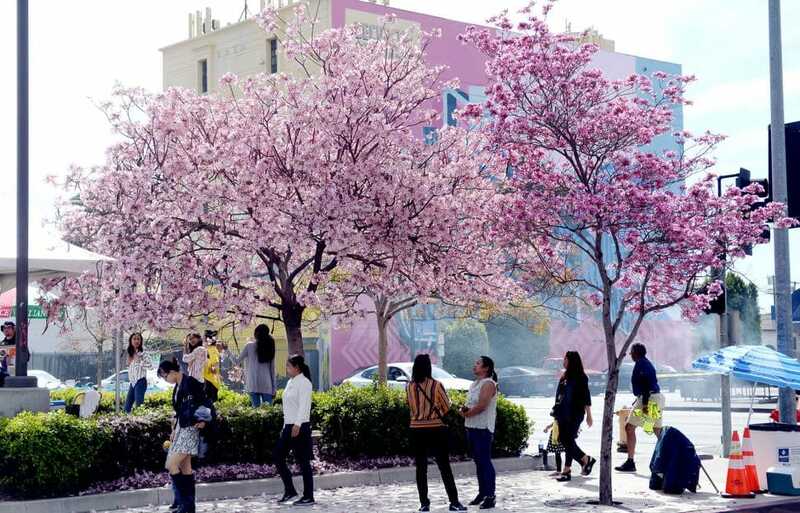 Cherry blossom tree in full bloom, during the 11th Annual Cambodia Town Culture Festival, held outside the Mark Twain Long Beach Public Library. Photo by Stephen Carr. 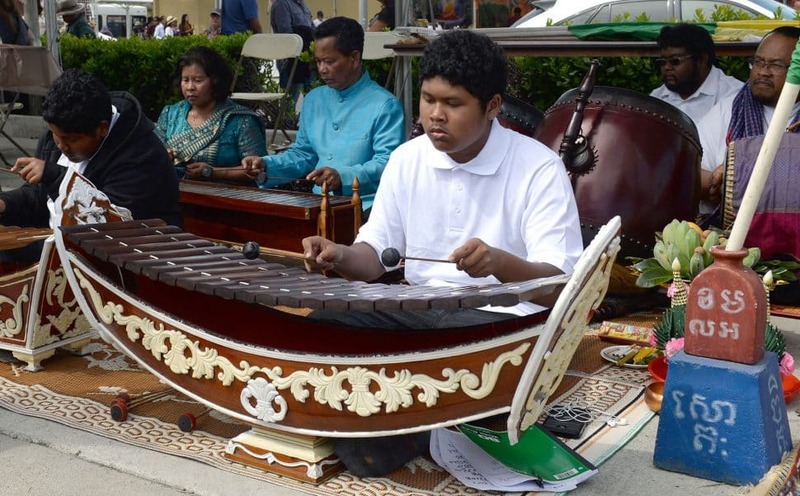 Nick Tich plays a roneat ek, during the 11th Annual Cambodia Town Culture Festival, held outside the Mark Twain Long Beach Public Library. The instrument is a xylophone used in Khmer classical music. Photo by Stephen Carr. The 11th Annual Cambodia Town Culture Festival, held outside the Mark Twain Long Beach Public Library. Photo by Stephen Carr. 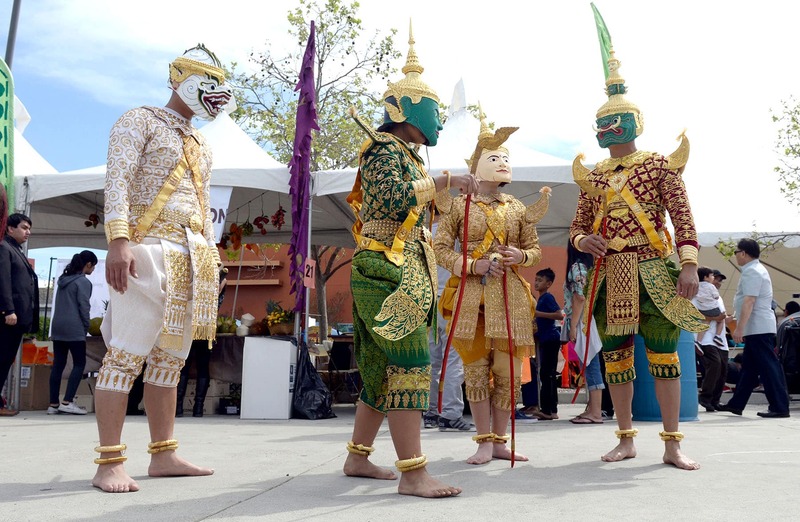 Cambodian dancers perform during the 11th Annual Cambodia Town Culture Festival, held outside the Mark Twain Long Beach Public Library. Photo by Stephen Carr. 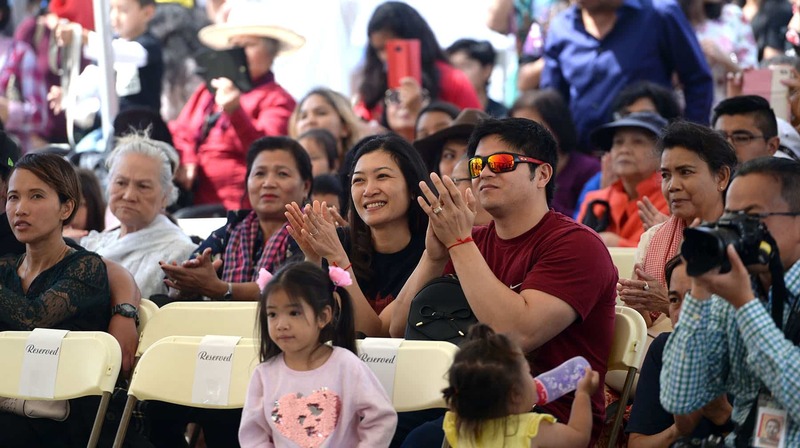 A crowd reacts to performers during the 11th Annual Cambodia Town Culture Festival, held outside the Mark Twain Long Beach Public Library. Photo by Stephen Carr. Vanny Son, of Philadelphia, says a prayer during the 11th Annual Cambodia Town Culture Festival, held outside the Mark Twain Long Beach Public Library. Photo by Stephen Carr. 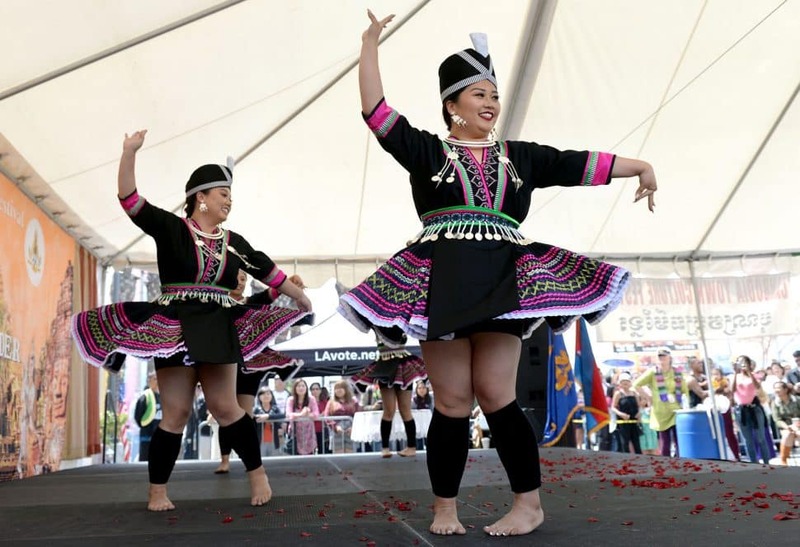 Nkauj Ci Iad, a traditional Hmong dance group, perform during the 11th Annual Cambodia Town Culture Festival, held outside the Mark Twain Long Beach Public Library. Photo by Stephen Carr. 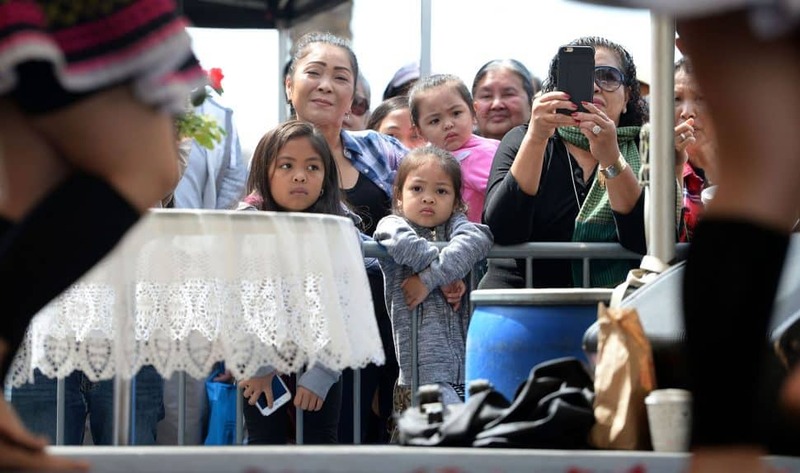 A crowd looks on as the dancer performs during the 11th Annual Cambodia Town Culture Festival, held outside the Mark Twain Long Beach Public Library. Photo by Stephen Carr. 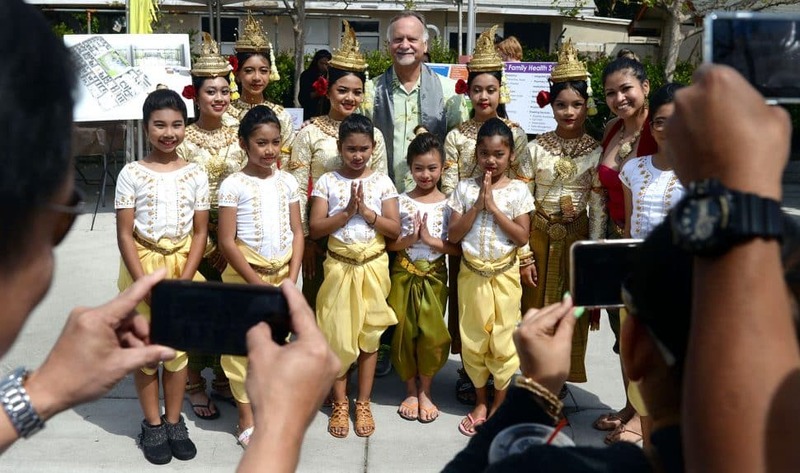 Long Beach City Fourth District Councilman Daryl Supernaw poses for photos with Cambodian dancers, during the 11th Annual Cambodia Town Culture Festival, held outside the Mark Twain Long Beach Public Library. Photo by Stephen Carr. 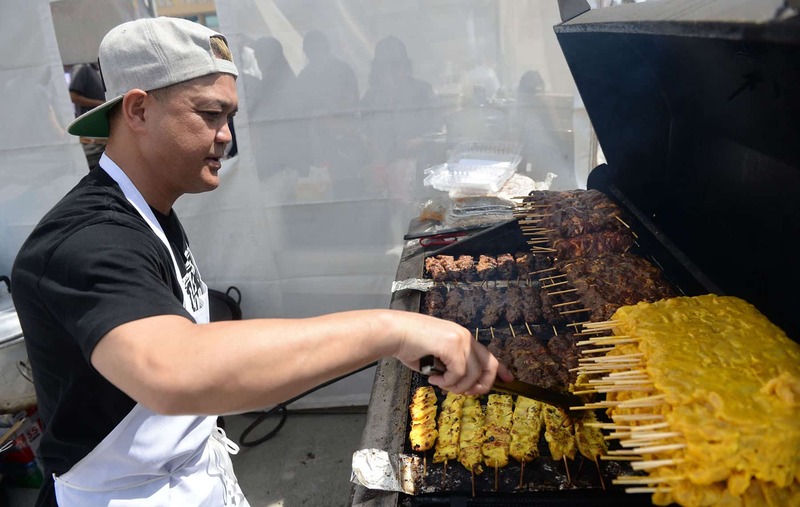 Chet Khut, of Sophy’s Restaurant in Long Beach, cooks up some chicken satay, during the 11th Annual Cambodia Town Culture Festival. Photo by Stephen Carr.